In power for more than 20 years, Rakhmon won over 83 percent of the vote according to official figures. He faced five little-known, mainly loyal challengers. His only serious rival was barred from running. "The fact that Tajik authorities chose to disqualify the most vocal critic of the regime, who was trying to build her election platform on the single most important issue in the contemporary Tajik society - mass migration of the country's male population - demonstrated that she might have really frightened the regime even though, as some claim, she still did not stand a chance of unseating the incumbent in a heavily rigged election." 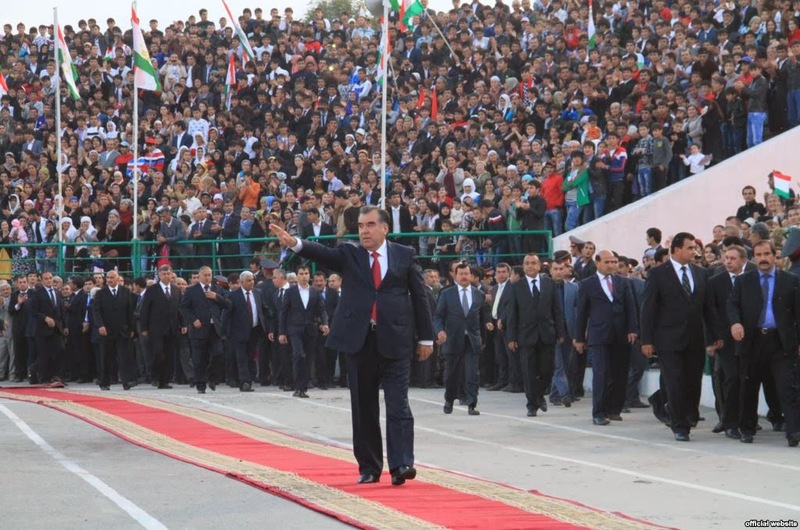 "The body of another vocal critic of Rahmon, Salim Shamsiddinov, who was the leader of the 1 million-strong ethnic Uzbek minority in Tajikistan, was found in a river in Uzbekistan several weeks ago after his disappearance earlier this year." Afghanistan's National Directorate of Security announced that it captured two operatives from the al Qaeda and Taliban-linked Islamic Movement of Uzbekistan during a raid in the capital city of Kabul. The fighters had trained in Pakistan's Taliban-controlled tribal agency of North Waziristan and were involved in recent fighting in the remote northeastern Afghan province of Badakhshan. The NDS said the two IMU operatives had trained for 40 days in the Mir Ali and Miramshah areas of Pakistan's North Waziristan tribal agency, and that they then fought in the Wardoj district of Badakhshan prior to entering Kabul. It is unclear if the IMU operatives were in Kabul to conduct attacks. 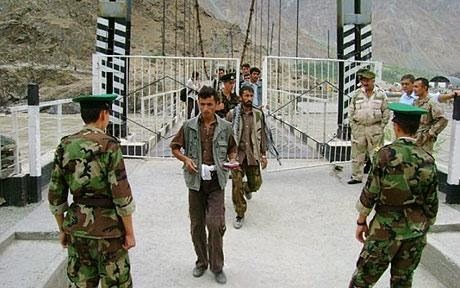 Negotiations between chiefs of border services of Tajikistan, Russia and Afghanistan that took place at the Afghan border-crossing checkpoint, Sherkhan Bandar, on October 30 reportedly resulted in signing of a border cooperation protocol. Khoushnoud Rahmatulloyev, a spokesman for the Border Guard Directorate, the State Committee for National Security (SCNS) of Tajikistan says the document provides for expansion of cooperation between the border services of the three countries, exchange of information and carrying out joint events. And Russia considers an air base in the country necessary to support Russian and CSTO military activities in Tajikistan to strengthen the border with Afghanistan, especially since Uzbekistan is refusing to cooperate with Russian efforts in the region and has effectively blockaded Tajikistan. Russia’s anti-drug agency said Wednesday that it had seized a total of $46 million worth of Afghan heroin, about 145 kilograms of the narcotic, during a recent series of raids. The drugs had been smuggled from Tajikistan inside trucks that passed through Kyrgyzstan and Kazakhstan in late October, the Federal Drug Control Service said in a statement. Almost 1,900 organized criminal groups and 150 major drug cartels in Central Asia are trafficking illicit drugs from Afghanistan to Russia, the head of Moscow's counter-narcotics agency said Friday. The head of the Russian police’s anti-narcotics department in southwest Siberia has been arrested for selling heroin, local investigators said Monday. 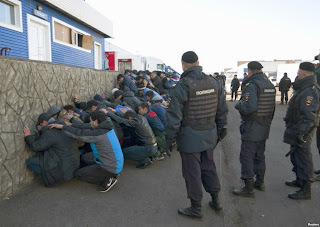 In the latest step by authorities to fight unlawful immigration following an anti-migrant riot earlier this month, the city's police chief said that Moscow police will raid apartments reportedly occupied by illegal migrants every Friday until the end of the year. A member of the Al Takfir wal-Hijra radical group has been detained in Balashikha, Moscow Region, on suspicion of recruiting young women for his organization, a Russian Interior Ministry spokesman said. Law enforcement services in the Stavropol Territory have carried out an operation, tracking down a "women's madrasah," where extremism was taught, the territorial security department has reported. "The information available suggests that some of the women who had undergone training at the madrasah went radical, or disappeared, or moved to Dagestan, while others travelled to the Middle East with their husbands to fight for the Muslims' freedom, where they vanished for good," the report said. The move coincides with a drive by President Vladimir Putin to crack down on an Islamist insurgency in Dagestan, a province in the foothills of the Caucasus Mountains, east of Sochi. Russian security services said Friday that they are working with their British counterparts in the run-up to the 2014 Sochi Winter Olympics. Russian President Vladimir Putin and British Prime Minster David Cameron said following a meeting in Sochi in May that they had agreed that their security services would cooperate over the Olympics. Russia’s Communications Ministry, in cooperation with security services, is finalizing a directive obliging internet providers to record private internet communications. The major innovation of the new directive is that it would require internet providers to record constantly the last 12 hours or more of traffic coming through their servers, starting from July 1, 2014. This would allow the FSB secret service to control phone numbers, IPs, register entries, e-mails of social networks users etc. 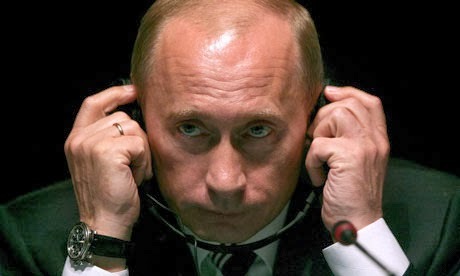 According to Russian President Vladimir Putin, it is possible to have 100 percent security, 100 percent privacy and zero inconvenience. Let us see if the Russian population agrees with him and supports the new measures for the sake of fighting terrorism. 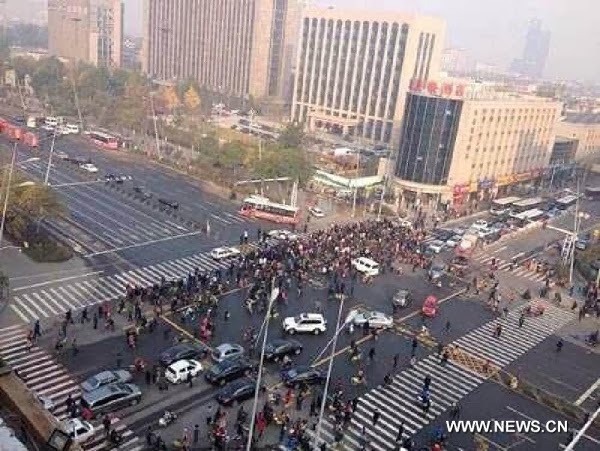 At least one person has been killed and eight wounded after a series of improvised devices exploded outside an office building of a provincial headquarters of the Communist Party of China in Taiyuan. Seven explosions occurred at around 07:40 local time near the Shanxi Provincial Committee of the Communist Party of China, South China Morning Post reports. The root of all these incidents are linked to the increasing despair of locals at their failure to obtain justice in Chinese society, whether it is related to corruption, forced government acquisition of land, public health and safety hazards, unfairness in legal proceedings or dealing with party or government officials — especially the despised heavy-handed urban management officers known as "chengguan." In dealing with societal problems, local governments have often acted contradictorily, opting for "stability" in favor of the needs of the public, crossing legal boundaries and using the police to stamp out civil unrest, further inflaming hostilities against the authorities. The Global Times article echoes the observations made in the last round-up and it is important to take a closer look at Rebiya Kadeer and the various organizations associated with her. Guo said the Beijing government will improve supervision of rented housing, small- and medium-sized inns, and keep a closer eye on migrant people, especially those who "move suddenly." India and China began a 10-day joint anti-terrorism drill on Tuesday. The first such exercise in southwestern China in five years comes days after the two countries signed a border defence cooperation agreement during Prime Minister Manmohan Singh's visit to Beijing.